Douglas Carswell has committed to remaining as a UKIP MP despite a disagreement over whether the party should claim over £3m in short money. Short money is paid to opposition parties out of the public purse when they get MPs elected to help them provide an effective opposition to the government. Short money is allocated based on the number of MPs and the number of votes secured. With almost 3.9m votes and one MP, UKIP is entitled to around £650k per year. Carswell has told the Clacton & Frinton Gazette that some staffers had been pushing for him to employ 15 additional staff using the short money and put them into his office. If the number of UKIP MPs reflected the number of votes UKIP received then we'd be looking at about £4m shared between about 80 MPs and Carswell wouldn't have had a problem taking his £50k share. What he isn't happy with is the idea of trying to explain to his constituents why he's taken 10 times his salary to hand over to his party. Instead, he is taking £350k of short money which is still a considerable amount of money. If there are troublemakers in head office briefing against Carswell as suggested then they need to be hunted down and disciplined. These are the sort of games the old parties play, we don't need these distractions. 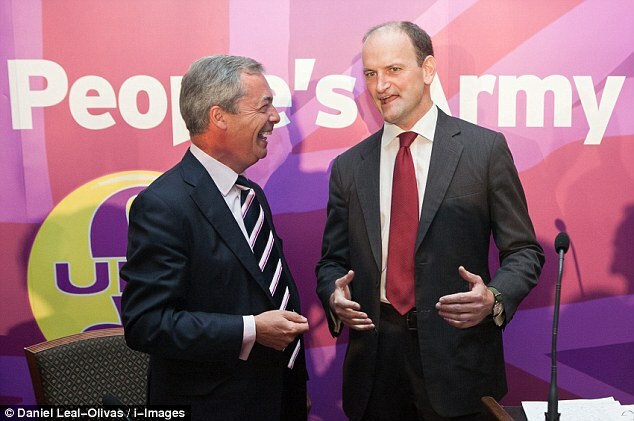 Carswell is the only UKIP MP, it's his decision if the party gets short money and how much of it we accept. His decision should be respected.